Putting monstrous compute power at your fingertips, our professional server GPUs can fly through vast amounts of data, crunching complex mathematical calculations at mind-bending speeds. 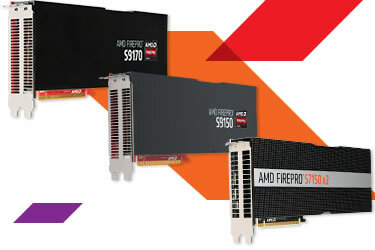 AMD STREAM technology powers the ecosystem that enables AMD FirePro graphics cards to be efficient and tackle compute-intensive workloads, leveraging the massively parallel processing power of the GPU to accelerate many applications beyond just graphics. 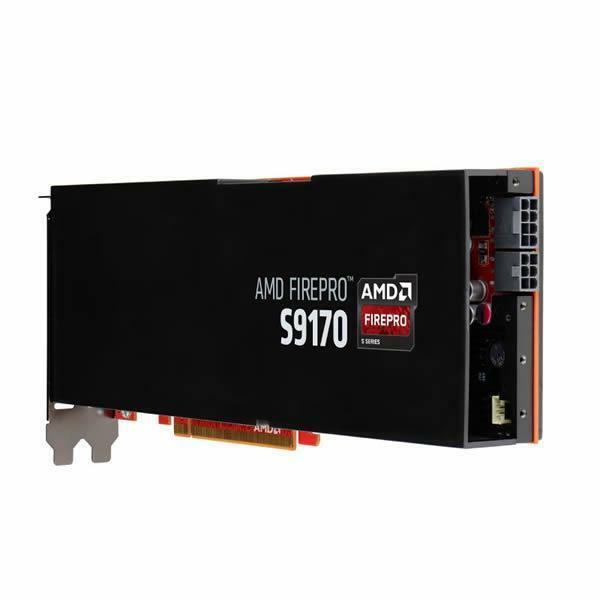 Accelerate your most complex workloads in scientific computing, data analytics, or seismic processing, and witness the power of the world’s first 32GB server GPU, the AMD FirePro S9170. 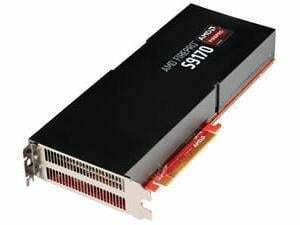 Stay ahead of the curve by taking advantage of OpenCL 2.0, the open programming standard for general-purpose computations on heterogeneous systems. 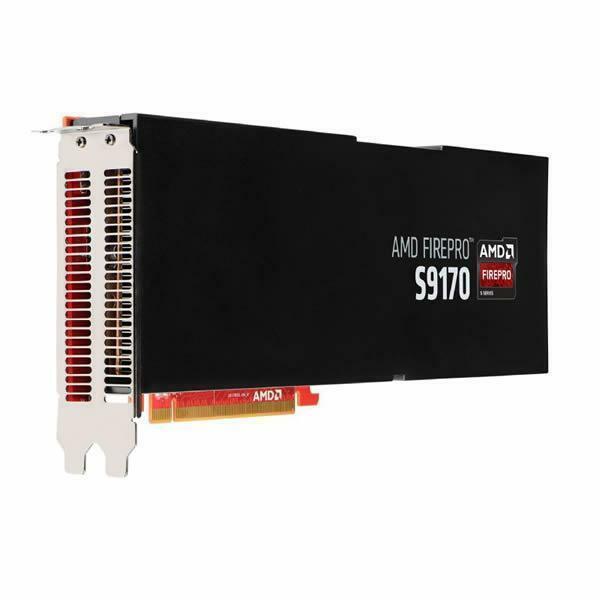 The AMD FirePro S9170 is equipped with ultra-fast, industry-leading 32GB of GDDR5 memory, the most memory of any professional server GPU available today1. 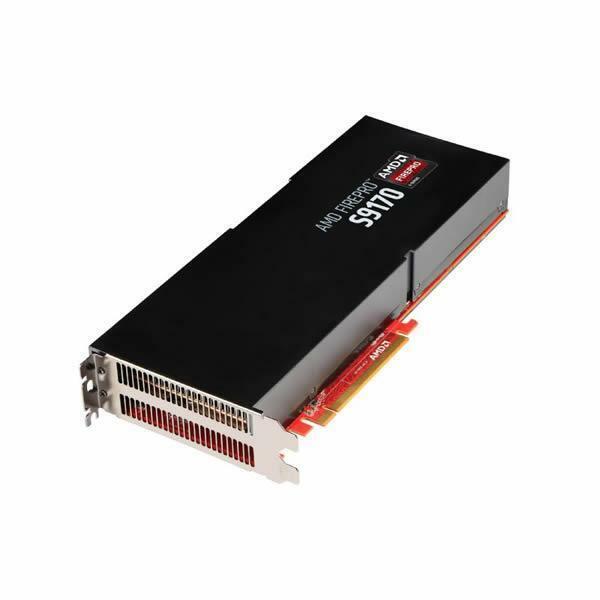 Packing up to 2.62 TFLOPS of peak double precision and 9.53 GFLOPS/w double precision performance, supercomputers that are equipped with FirePro S9170 GPUs can achieve massive compute performance while optimizing available power budgets.